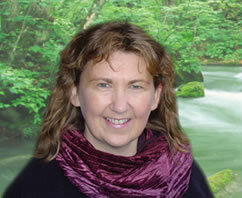 Niagara Nature Tours was founded in 1996 by Carla Carlson, a well known local naturalist, environmentalist and past president of the Peninsula Field Naturalist Club. With degrees from Guelph University in Agriculture/Horticulture and Brock University in Urban & Environmental Science and Biology, after 14 years employment at Agriculture Canada, Vineland Research Station, Carla started her dream job " based on the guidelines and principles of Ecotourism." Niagara Nature Tours offers consulting services, speakers, programming, workshops, slides shows, presentations, step-on guiding services, tours, hikes and walks - from one hour to 1 week or longer. A donation from your tour will be made to local conservation efforts. Highlighted in the Canadian Tourism Commission's Catalogue of Exemplary Practices in Adventure Travel and Ecotourism. We offer unique programming and tours for conferences, tourists and locals which combines the arts, sciences and nature. We utilize our best local talent and experts who will delight, entertain and educate. From couples to bus tours, we offer outings for all ages and experience levels. All tours are custom tailored, we welcome people with special needs, and many tours are wheelchair accessible. "It is very important to us that we let the people know we are local, and we were born and raised here or educated here. People come away knowing that we are of the Niagara Peninsula and that we want to protect if for future generations and Mother Earth - that even though it's not Costa Rica or the Galapogas, it still has wild areas and ecosystems worth protecting and enhancing. We think we are exciting and challenging peoples imaginations. One memorable day, at the end of a two-day tour for public school students and parents, an emotional father came and thanked each of our guides. 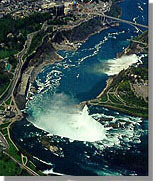 He said that although he had been to Niagara Falls many times in his life, he had "never been to Niagara Falls." Niagara Nature Tours contributes to Music World Camp. Volunteers for Music World camp hosted by local musicians for budding young musicians. We also volunteer for many not for profit organizations such as the Niagara Peninsula Hawkwatch Children's Programme; local museums for special event days and the Lincoln Alternative Transportation Committee. The owner Carla Carlson, is a founder and member of the Friends of the Richmond Street Forest, a group dedicated to saving a local Carolinian Forest. Niagara Nature Tours stays in touch with other local events to help you stay in touch. Therefore we go to places that only the locals usually know about including restaurants, fruit stands and other areas - restaurants, farm-markets, and other "secret places."